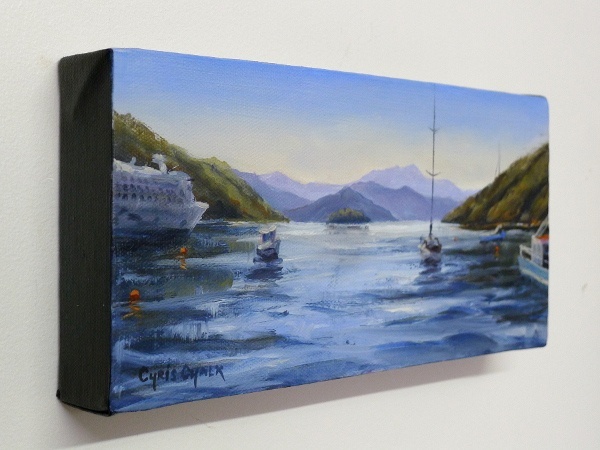 The third of my New Zealand series of paintings, Picton is a beautiful town situated at the top of the south island, in New Zealand's Marlborough region. The Inter-island ferries to and from Wellington arrive and depart here by way of the stunning Marlborough Sounds. I spent hours sitting on the quayside at Picton watching boats and drinking coffee, I could easily have stayed much longer.